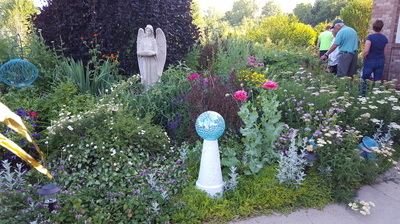 The next wow garden added to the list was Dawn Kendal’s garden. 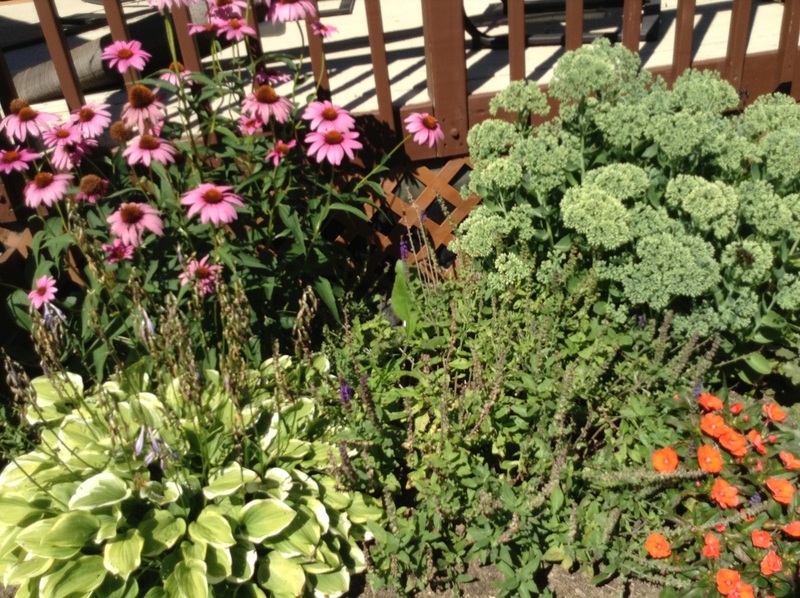 Every few feet of her garden was like a new breath of fresh air. Dawn is what we call a garden artist and her yard is her canvas. We admired the combination of plants and focal points pausing frequently throughout the walk to take in a new view. She had created themed areas of interest throughout the yard. 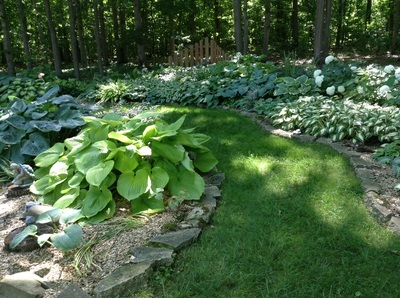 Dawn has a multitude of perennials, hostas, and day lilies. The trees are silver linden, dawn redwood, and a variety of weeping trees. 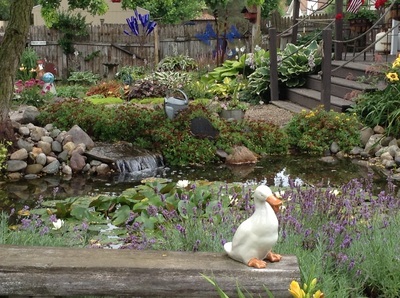 This home features an ornamental pond, bird houses, sculptured farm animals, Mr. McGregor’s vegetable garden, and more. Bring your camera. 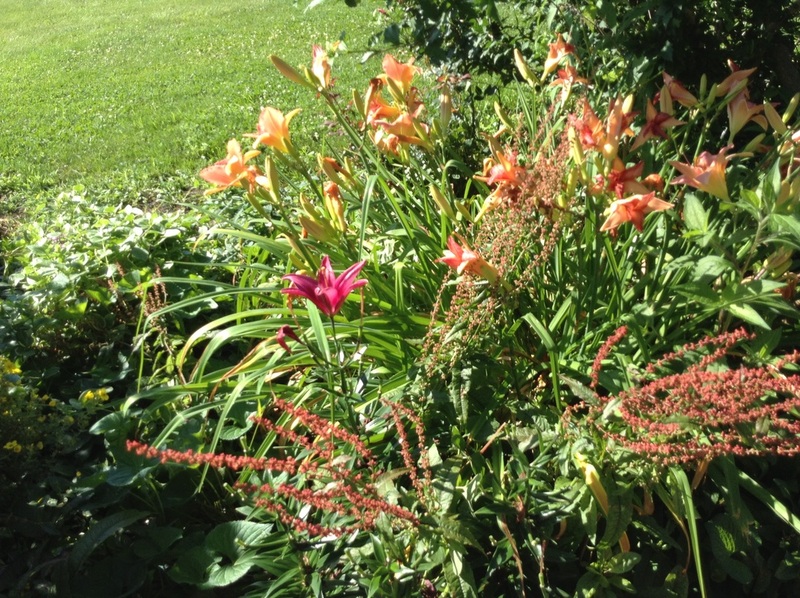 On my way to Dawn’s house, my head whipped around as I passed a country garden firework of color. Dawn said, “I have a neighbor who would also be interested.” Guess which neighbor! 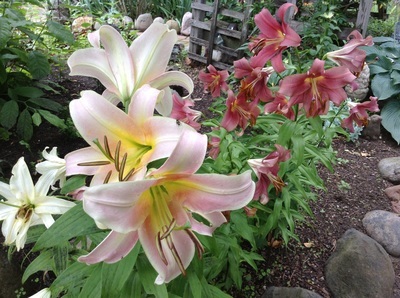 That’s right Valerie and Curtis Langston, the owners of the country garden firework of color who have been working on their country garden for about twenty years. 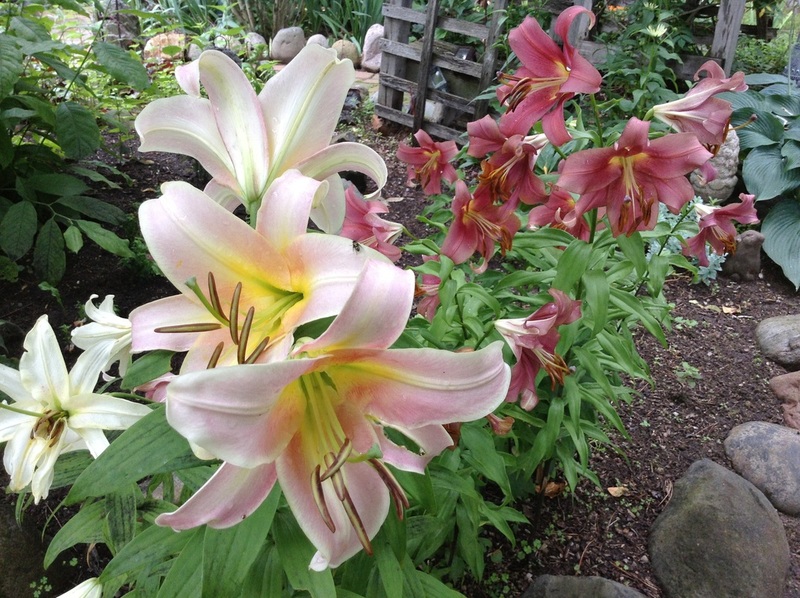 Valerie has a variety of plants with something always in bloom –tulips, bleeding hearts, daffodils, Asiatic lilies, day lilies, hibiscus, hostas, grasses, primrose, rose bushes, trumpet vine, and bittersweet. 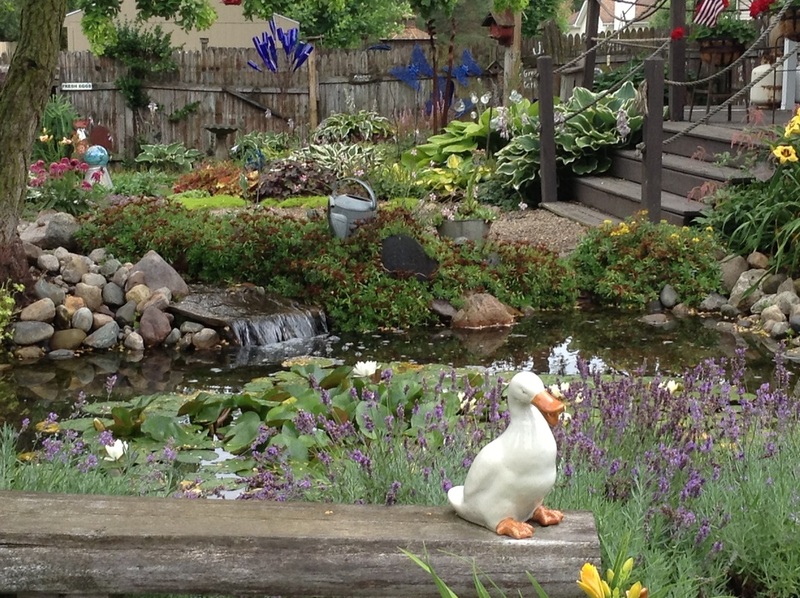 This garden features an ornamental pond, fairy gardens, arbor, a log cabin shed, and more. Look for the whimsical yard art nestled in among natures living art. 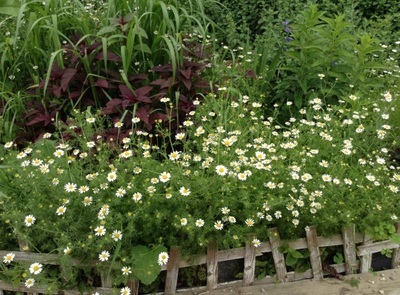 Pollinators love this garden and you will too. 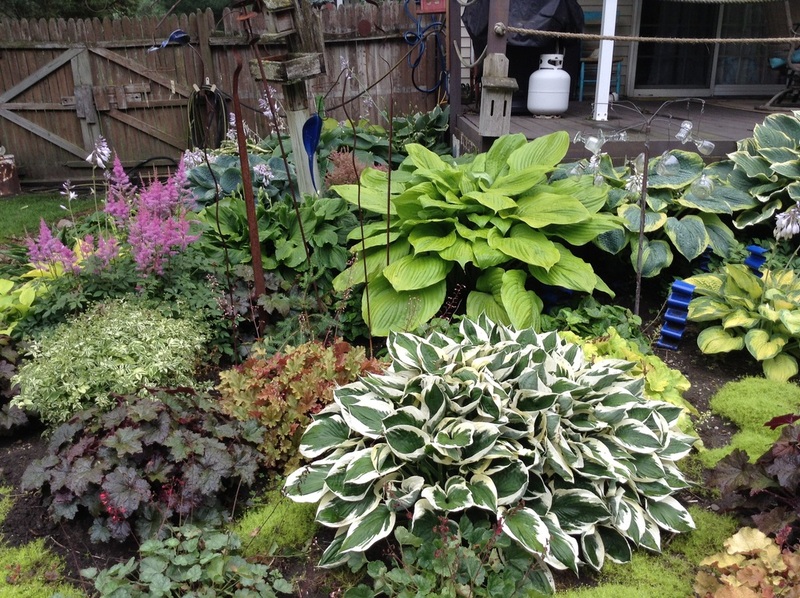 So we had another WOW garden added to our list. 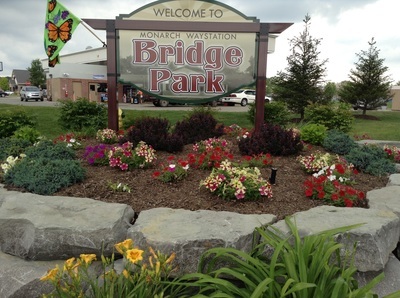 Sheri Johnston, representing Vienna Township Business District Authority, called me and asked if we would be interested in putting Bridge Park, a monarch weigh station, on the garden tour. 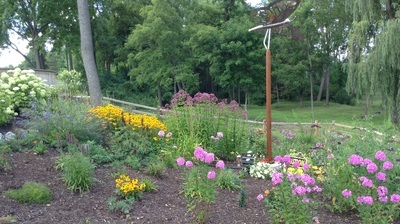 People will often sit at the picnic tables to view the slope of specifically selected plants calling the monarchs to visit. An 80 foot steel bridge which is an awesome work of art in itself spans over a natural stream running through the property. Many wedding and graduation pictures have been taken here. 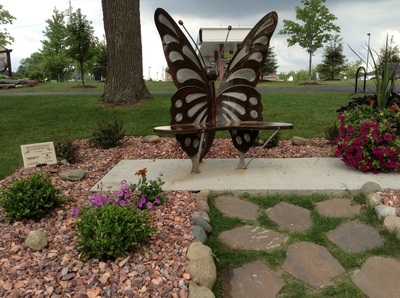 The community raised money to have a 6 foot sculptured butterfly in-flight hovering over one garden and a butterfly bench to surround the beautiful landscaping. The butterfly in-flight hovering over the garden has under lighting for an impressive nighttime display. This park is situated in Keep Michigan Beautiful Award-winning Vienna Township just west of Clio. A master gardener will be able to answer any butterfly migration questions. Site 5 Monarch Way Station- Save the butterflies! The next five gardens we selected by driving around and knocking on doors. 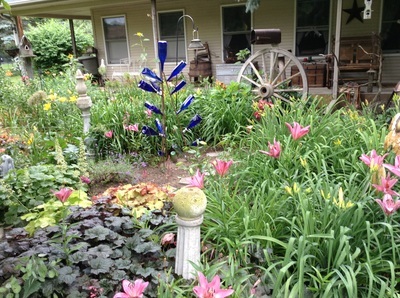 Debbie Miller’s yard caught our eye when we saw what looked like a field of flowers and colors. 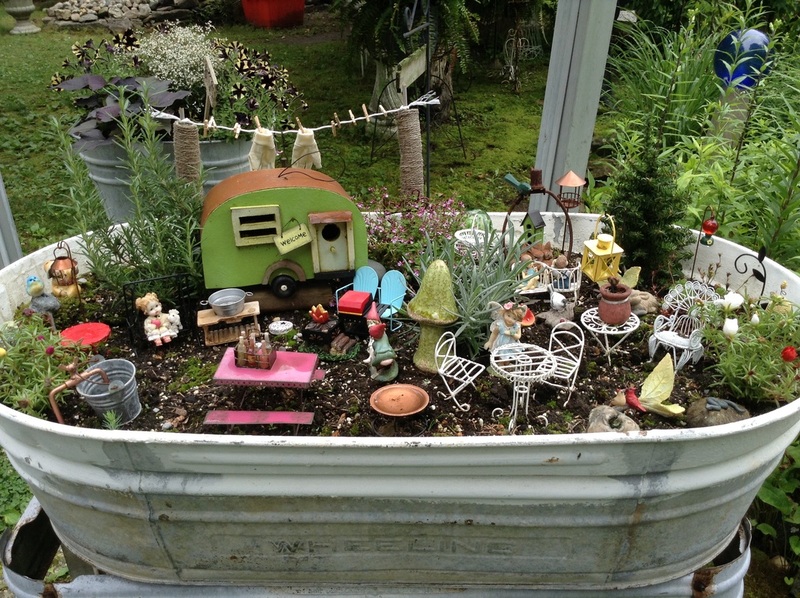 There were also small beds sprinkled throughout enhanced by yard art. It is amazing that Debbie started with a clean slate just thirteen years ago. 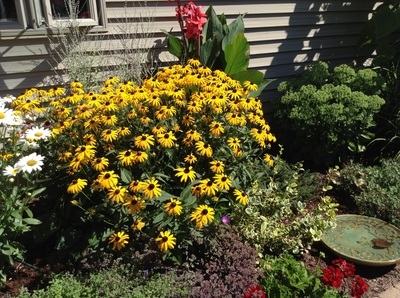 She has added Black-eyed Susan, a variety of day lilies, bee balm, daisies, balloon flowers, Russian sage, yarrow, Annabelle hydrangea, and more. 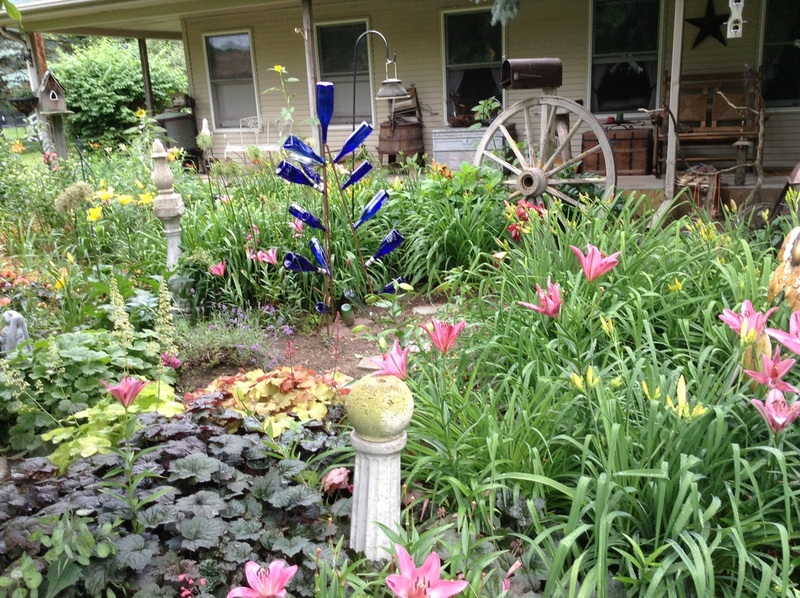 She has a flower lined path to guide visitors around the house. This gave us our fifth WOW garden. 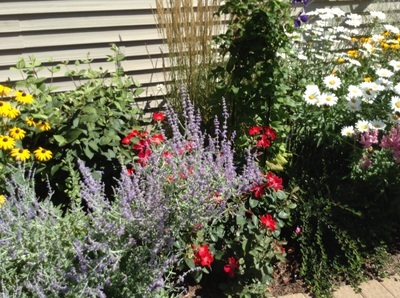 Audrey Howell’s garden is a combination of sun and shade. She works at combining beauty and low maintenance. In the front yard, she used a combination of spirea shrubs and flowers with a fountain centerpiece to give her home curb appeal. She had many shaded hosta, lily of the valley, and snow on the mountain beds throughout her yard. 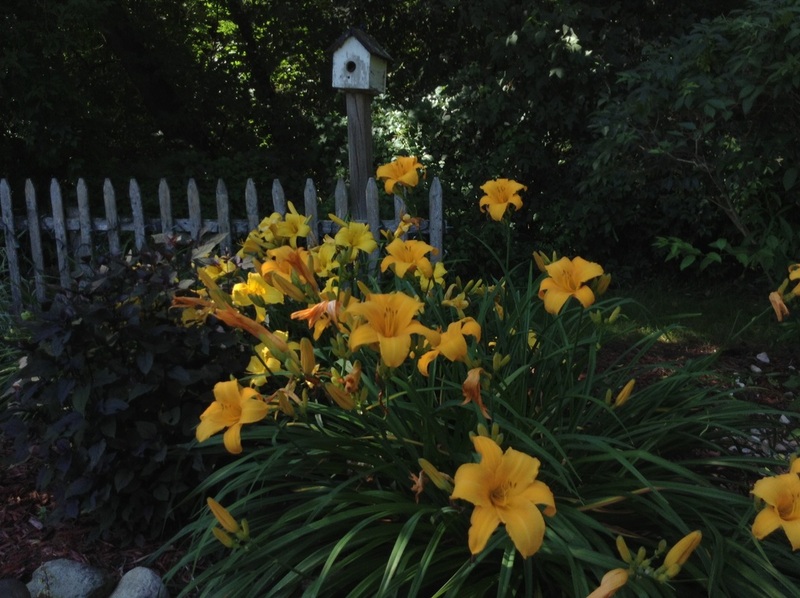 Audrey’s sunny area featured sun-loving flowering plants with bird houses as a focal area. A rod-iron ornamental bench sits beneath a pine tree waiting for someone to rest and enjoy the view. 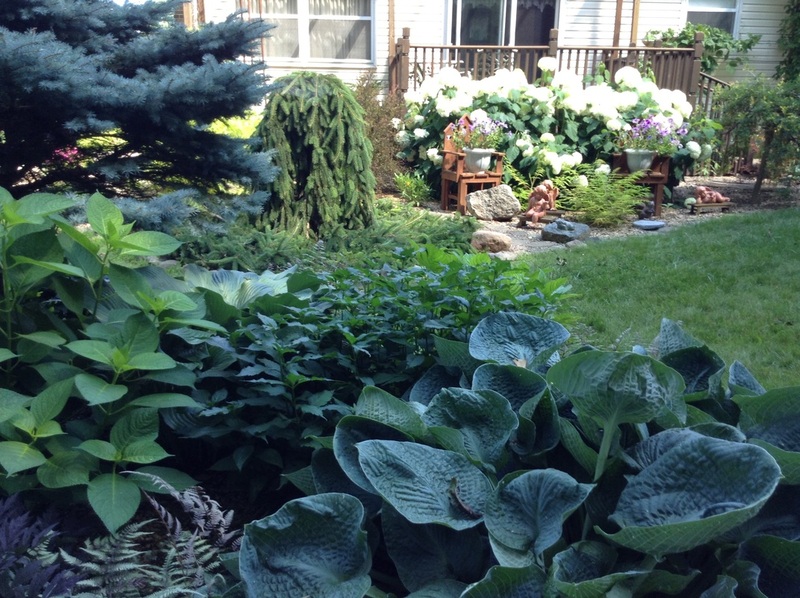 It is these touches that add WOW to gardens. 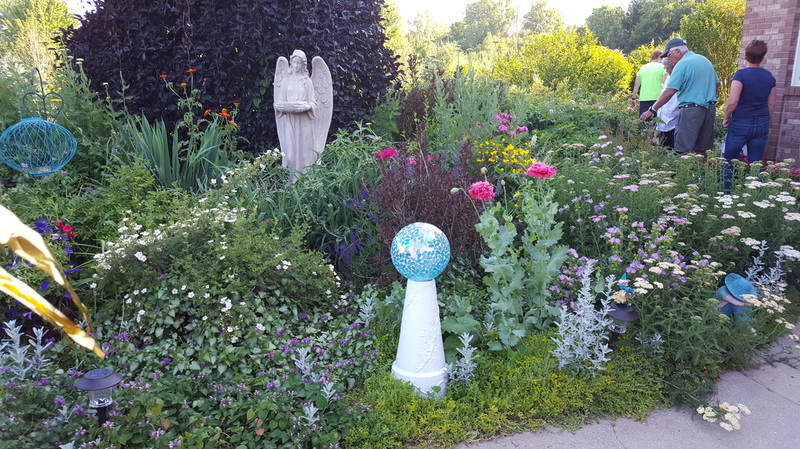 We were very pleased with the WOW gardens that we had found so far, and then we heard about Jerry and Bernadette Perrou’s garden. That’s right! It was another WOW garden. 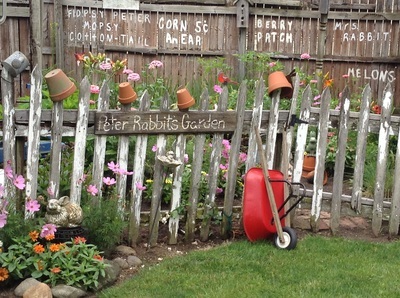 Bernadette says that when her husband retired sixteen years ago, one garden bed led to another. 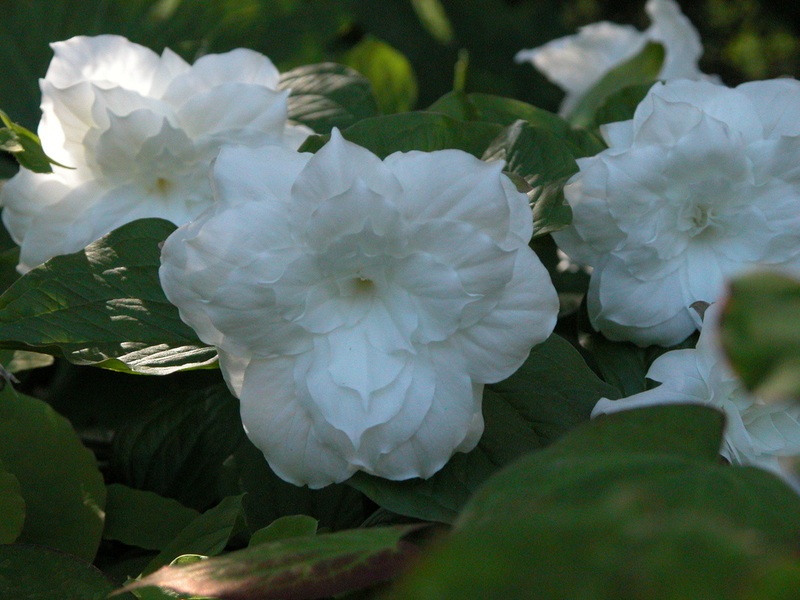 Their beds all have gentle curves, which are pleasing to the eye. 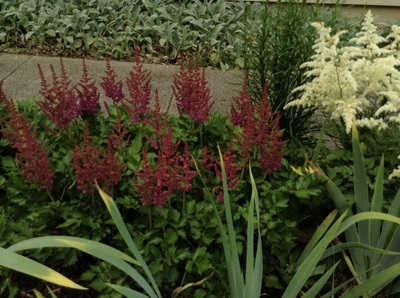 Some of their feature plants are purple fountain beech, weeping cherry, lavender twist, weeping redbud, ornamental evergreen, ferns, hellebore, just to name a few… (er, several). 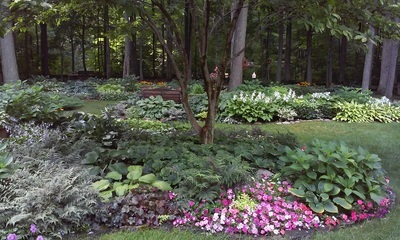 This is a wonderful site to get information on planting shade gardens. 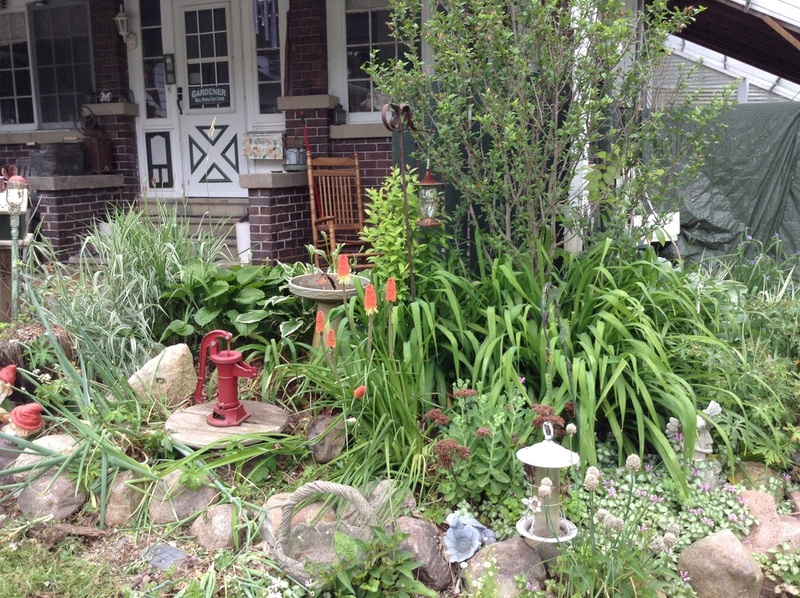 We searched for a pretty garden between Flushing and Clio and found Dave and Dawn McKeighan’s home. 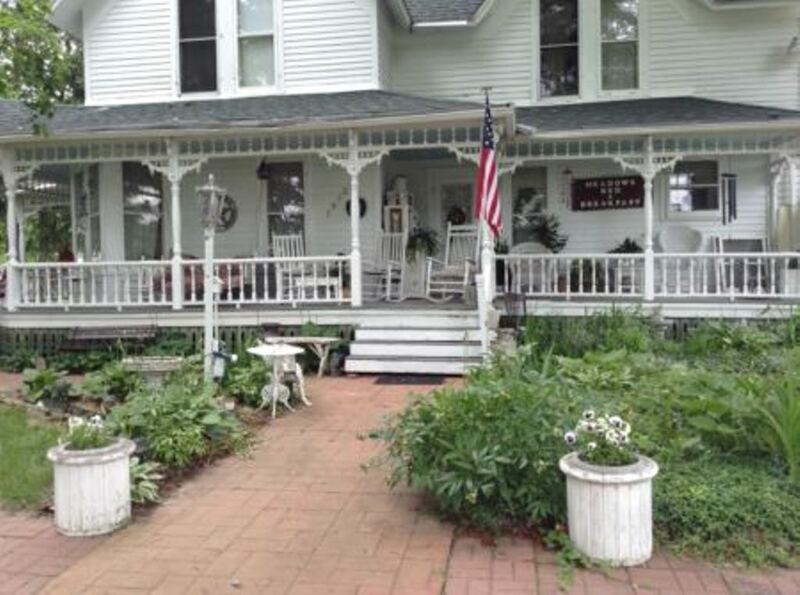 They have one-half acre of tastefully planned and planted garden beds and borders. 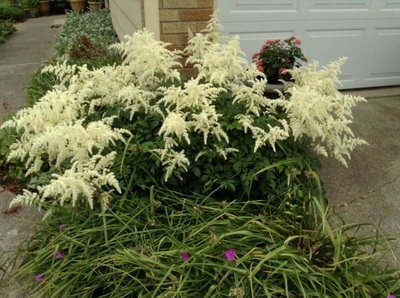 Some feature plants are ornamental grasses, coneflowers, coral bells, ferns, hollyhocks, and mums. 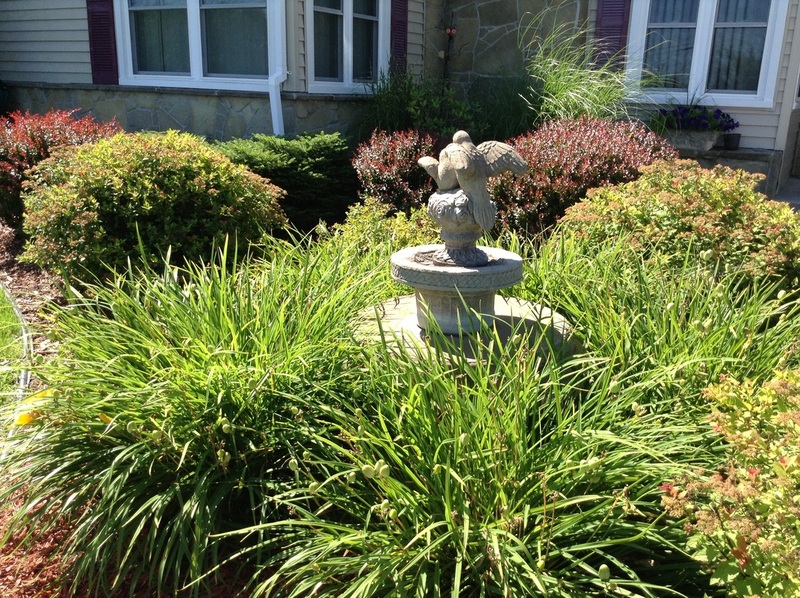 Dawn’s favorite yard art is the fountain from a fifty year old statue. 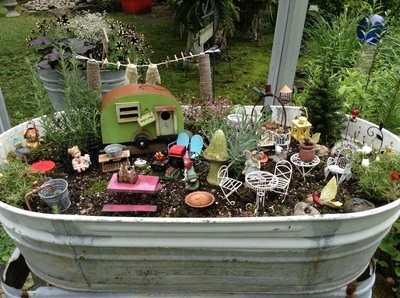 The family made many of the flowering pots themselves. Perennials are in bloom spring, summer, and fall for an ever changing and constant splash of color. Again WOW! 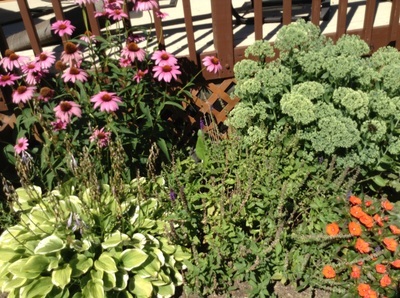 We thought that we were through with our WOW garden selection, when we got one more call. It was Glen and Joel Pace. 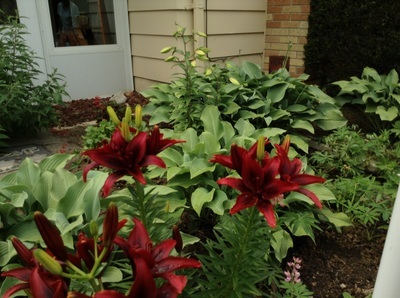 Glen Pace had spoken at our master gardener meeting showing slides of his plants in his garden. 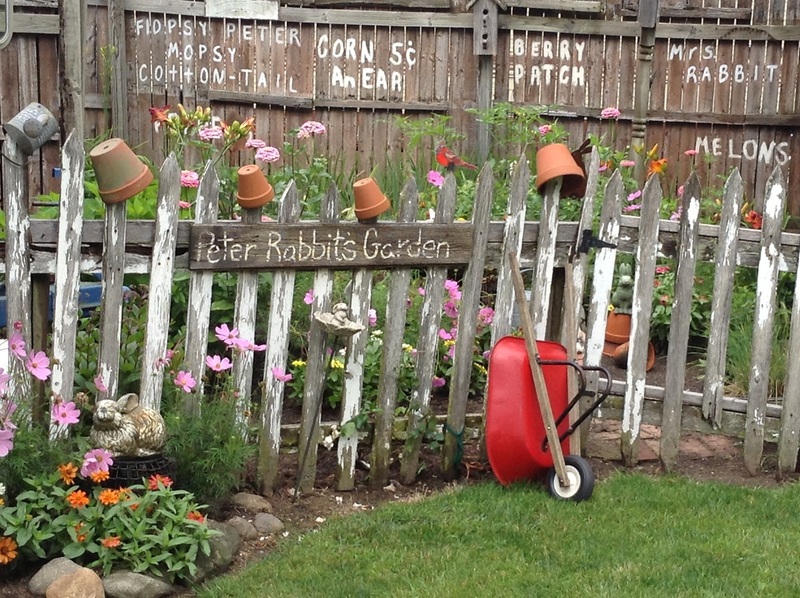 At that time, I wanted to go see his garden and now we all have the opportunity. Glen’s plants are not the box store variety, but they are very unique plants. 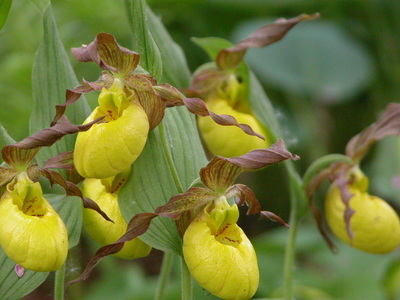 Some feature plants are Asian podophyllums, polygonatums, large collection of Trilliums including most of the SE species, cypripediums, a collection of epimediums, and many others. 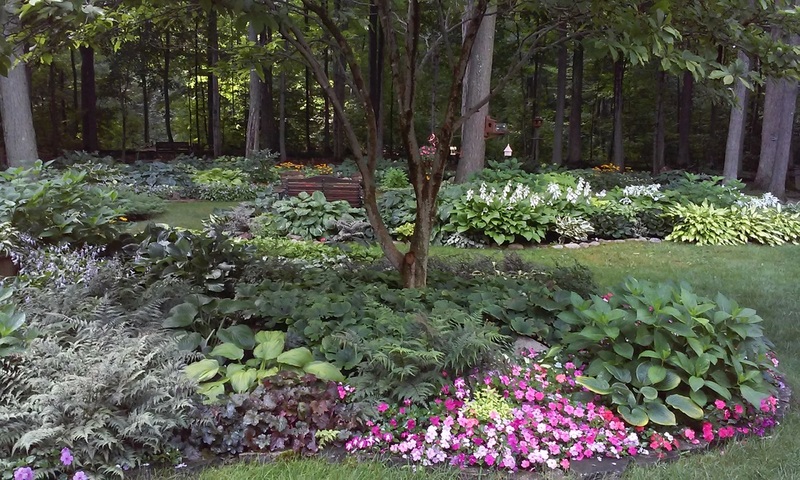 Some feature trees and shrubs are woodland ephemerals, native and non-native perennials, rhododendron, calycanthus, cornus, ginkgo, acer, and unusual conifers. 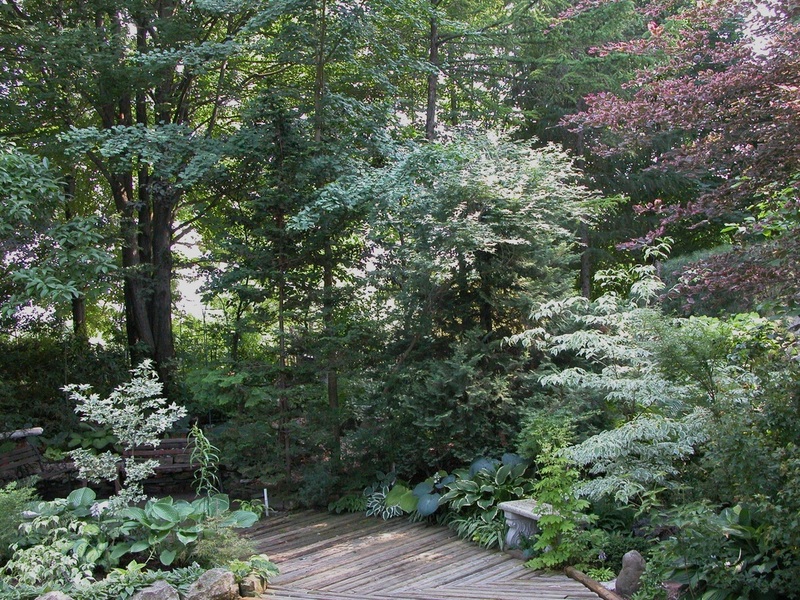 A number of the trees and shrubs in the gardens were grafted by Glen. 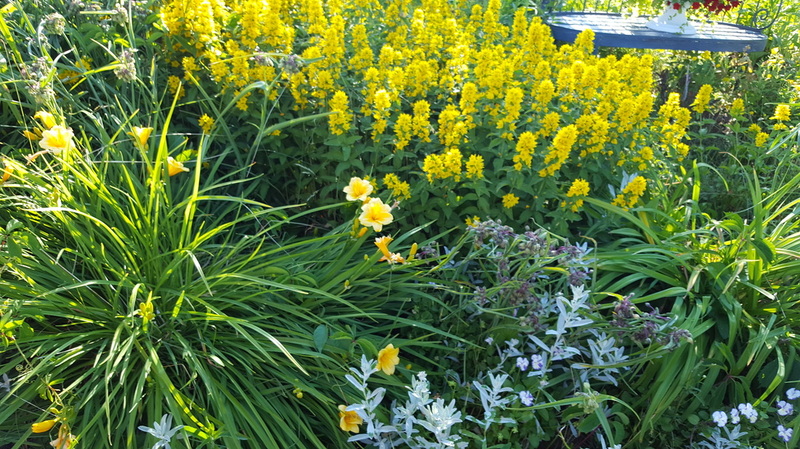 Pace Gardens is not a formal garden with manicured beds of flowers. Instead it is a garden of hardy unusual and sometimes rare plants that are grown for their color, texture, and sometimes even for their blossoms. 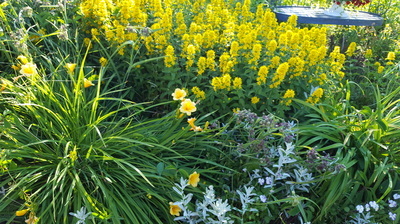 The gardens are planted as nature would grow these plants, naturalized, untrimmed, and without fertilizers or chemicals. All seasons have their own points of interest in the gardens; Spring has ephemeral flowers and orchids, summer has colorful foliage and textures, autumn features the colors of the deciduous trees and cyclamen flowers, and Winter brings the witch Hazel blooms and conifer color. 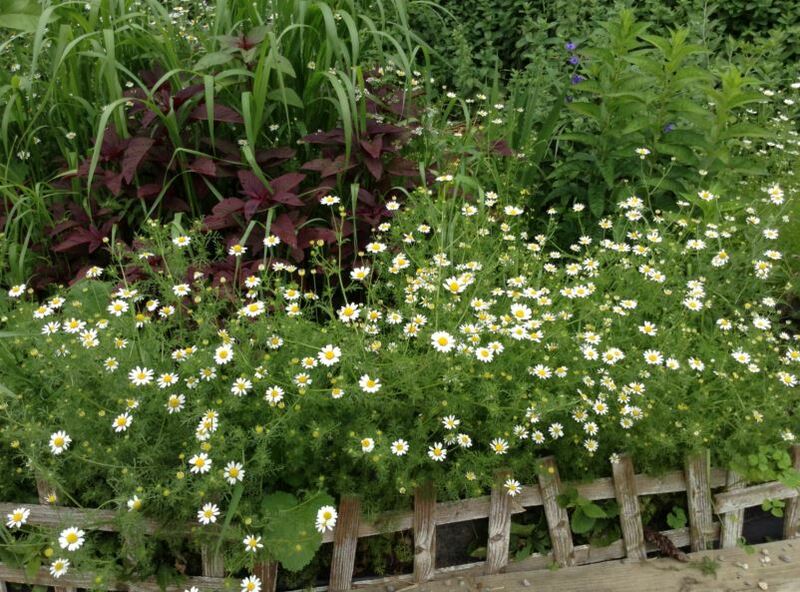 ​This garden is for the person that enjoys seeing rare and unusual plants grown in a natural setting. Wood chipped pathways lead visitors through the gardens of the woodland at the back of the property. 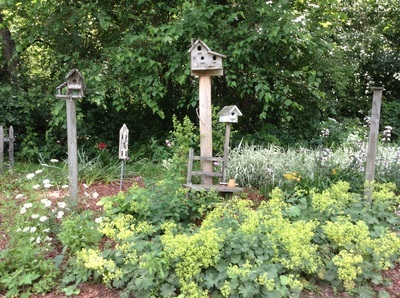 Seating benches are placed throughout the gardens to give visitors an opportunity to sit and relax while taking in the sights, sounds, and smells of the woodland.